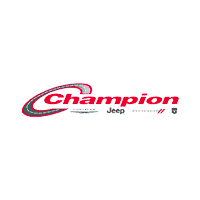 Champion Chrysler Jeep Dodge Ram FIAT features the latest manufacturer offers and incentives on all new Chrysler, Dodge, Jeep, and RAM vehicles. Discover which offers are best for you and drive off in a new car today. At Champion Chrysler Jeep Dodge Ram FIAT in Downey, CA, we have all the latest new vehicle models. Head down to our Downey car dealership to test drive a powerful 2018 Dodge Charger, experience a comfortable 2019 Jeep Cherokee SUV, or get the job done in the all-new 2019 RAM 1500. We have all of the newest cars, trucks, SUVs, and minivans in our Champion Chrysler Jeep Dodge Ram FIAT new car showroom near Los Angeles, CA. If you have a growing family, then we have lots of excellent choices for family cars at our Downey, CA Dodge dealership! While we carry the newest models, we also offer a full complement of affordable used cars for sale to Long Beach, CA area drivers. We carry many high quality and popular makes and models that extend beyond our Chrysler, Dodge, Jeep, Ram, FIAT vehicle offering. Browse around and if you can’t find an auto you love then let us know by filling out our vehicle finder form and we’ll find your next car for you. Our relationship doesn’t end after you buy a new vehicle at our dealership. We also offer many other amenities including our Champion Chrysler Jeep Dodge Ram FIAT service center serving Cerritos, CA and the surrounding areas. We can perform oil changes, tire rotations, brake inspections, repairs and more. Do you need new parts? We offer OEM replacement auto parts for sale online and accessories at our parts department that are made to fit your specifics make and model. Head over to Downey, CA and have a car buying experience with Champion Chrysler Jeep Dodge Ram FIAT. We can also find you an affordable car loan or lease that works with your credit and budget. Give us a call at 562-231-3500 or come see us in person at 9655 Firestone Blvd, Downey, CA, 90241. We will help you find your next car, truck, minivan or SUV today!